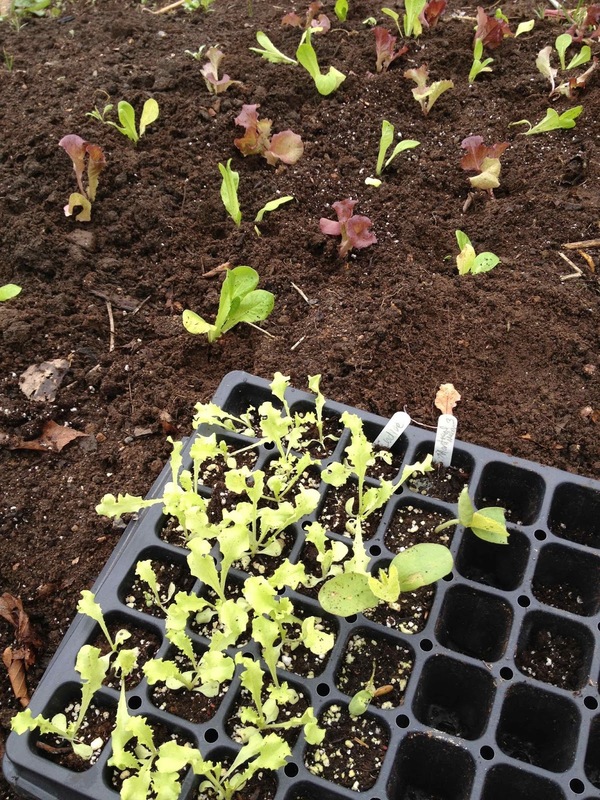 Niki Jabbour - The Year Round Veggie Gardener: Checkboard Lettuce - update! 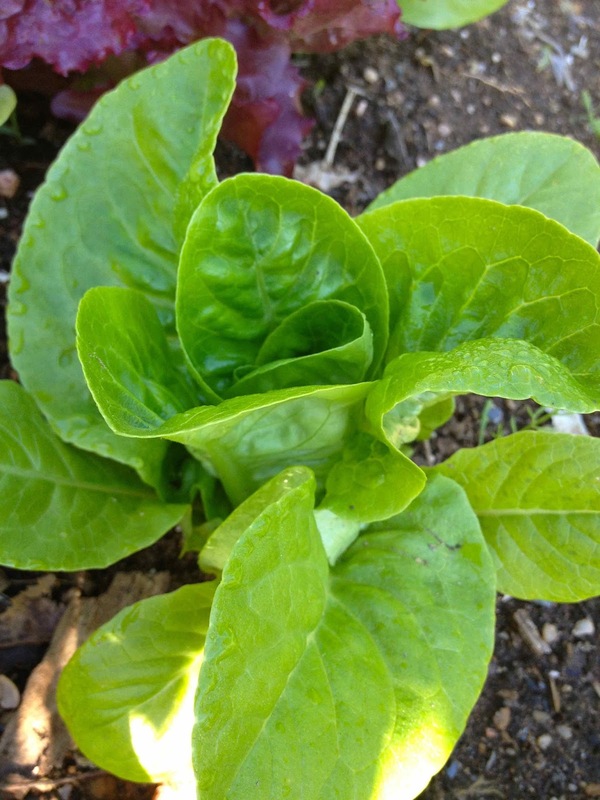 When I just walked outside to take a few photos of the lettuce.. I was assailed by the loveliest aroma - my Miss Kim dwarf lilac is now in full bloom - sweet!! 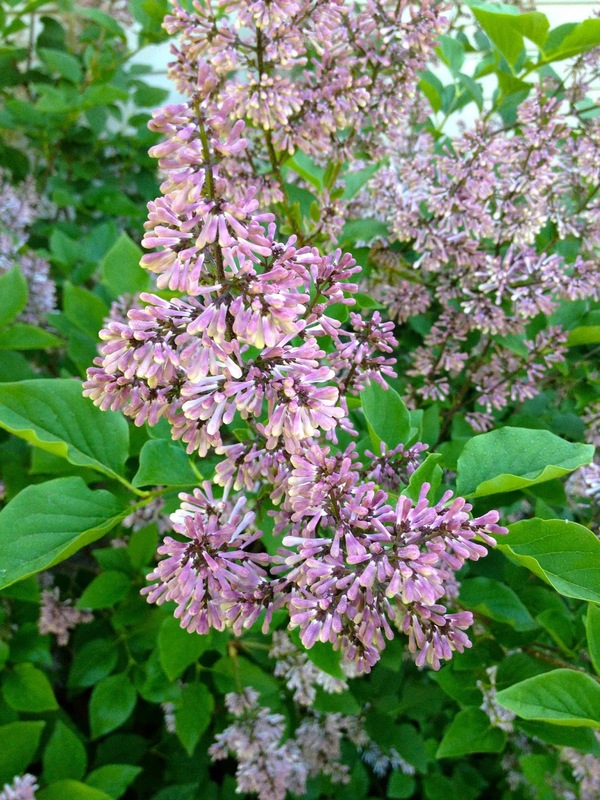 This is a late bloomer and not quite as fragrant as common lilac, but so worthwhile in a border. 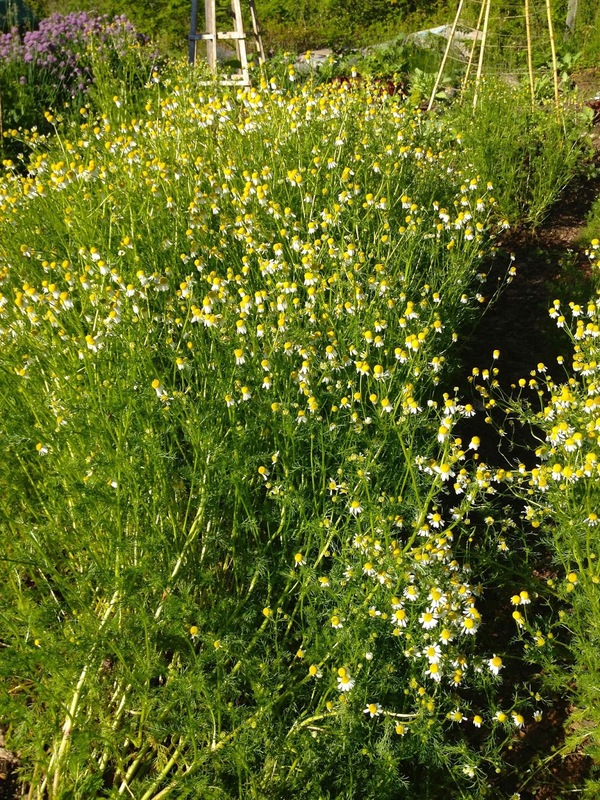 It grows just 5 by 5 feet, attracts hummingbirds, butterflies and bees and creates a mound of blooms in the early summer garden. I find it tends to flower biennially.. for example, one year it's fabulous (like today!) and the following year it's flower deficient. 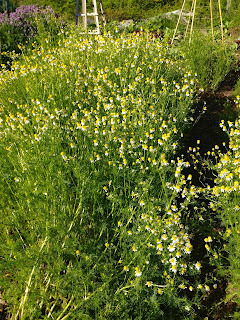 If I prune it though after bloom, however, it blooms more reliably from year to year. Anyway, on to my real topic of discussion - my lettuce. 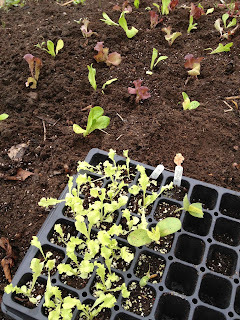 From late March to early September there is always a tray or plug flat of lettuce babies under my lights. This allows me to have a continuous supply of prime seedlings to plant in patterns, along the bed edges, under my bean teepees and trellises, in pots, wherever!! I love mixing and matching the many colours and textures of lettuce like the deep crimson, frilly edged leaves of Outredgeous with a bright green butterhead. 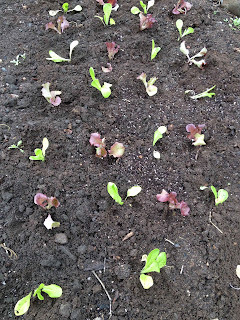 Scroll down and check out the progress on my current lettuce checkerboard.. 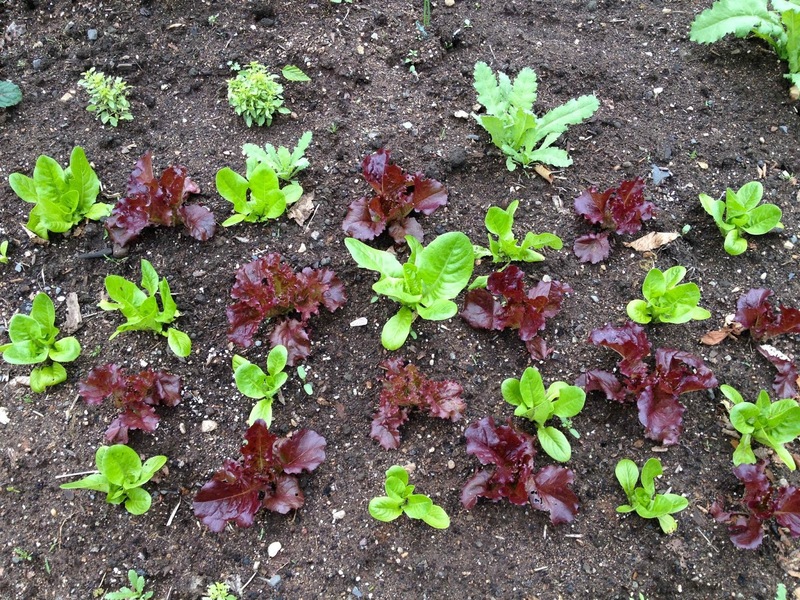 I could have made a whole 4 by 10 foot bed in this pattern.. but let's be honest, do I really need 50+ lettuce plants ready at once? Nope! 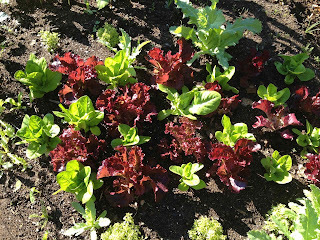 I'd rather have about 20 so I don't waste any homegrown goodness.. this patch will last for at least 5 to 6 more weeks.. longer, if I cover the bed with a 30% shade cloth to block some of the summer sun..
pulled about 75% of the seedlings that came up! 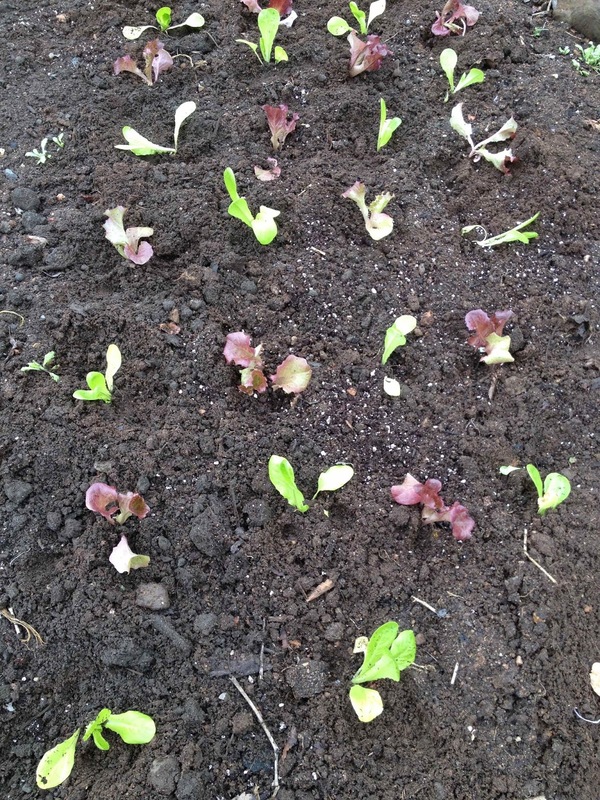 Planting my lettuce babies weeks ago.. Done - bed planted.. do you see the potential? Two weeks after planting.. they're starting to grow together!! in the morning! 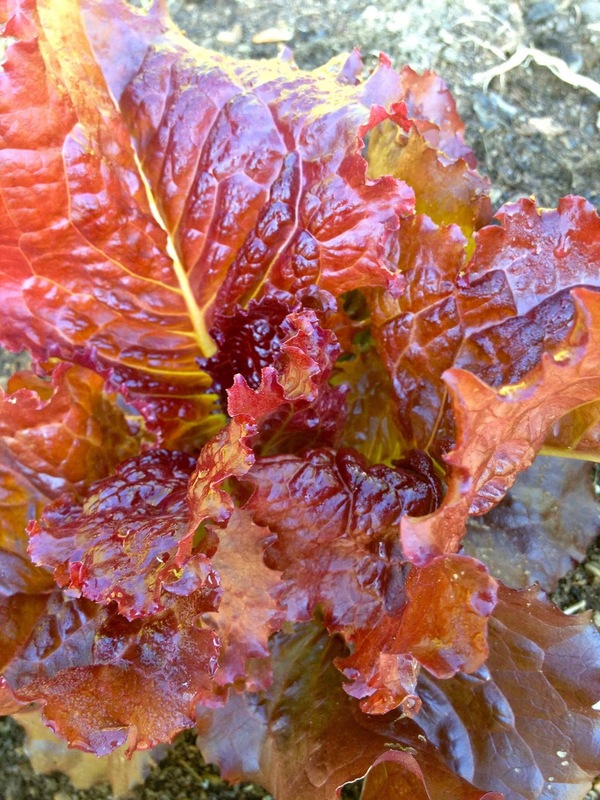 I've started to pick these tender lettuces. Close up! 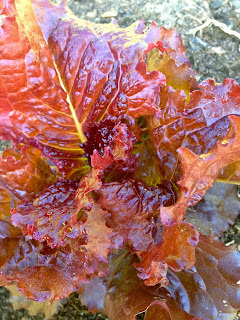 A crunchy butterhead..
can see the unique ruffled leaves. mint.. 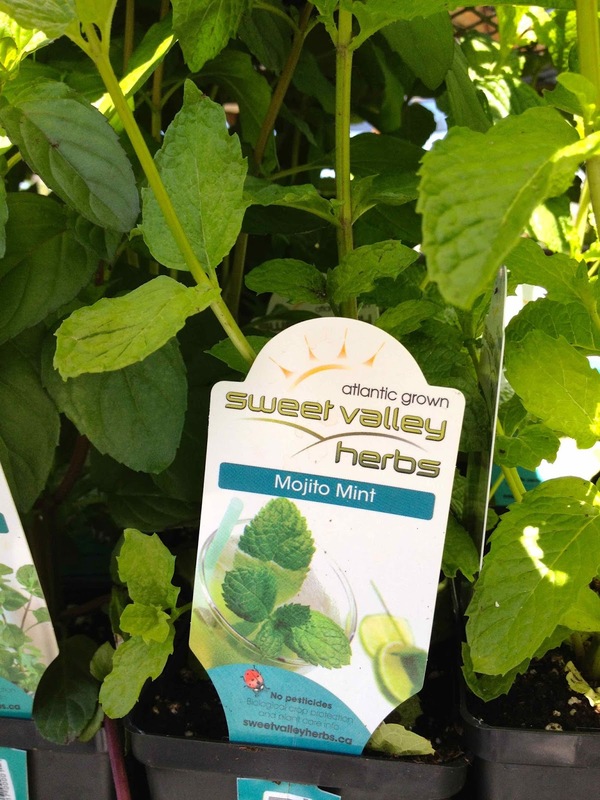 This will be fab on my deck in a pot! 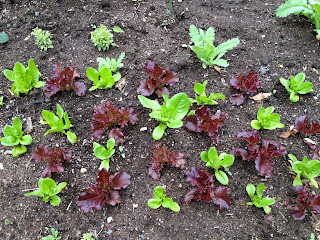 Lettuce looks lovely! 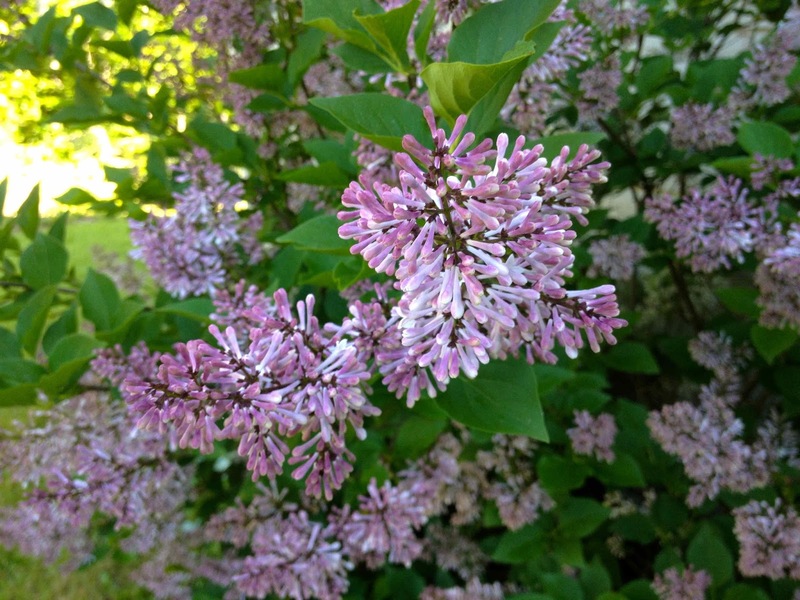 Oh I love lilacs, I grew up with one on the side of my house. I think it has one of the nicest and strongest fragrances of the flowered trees.